First virtual flight of a new model: Fiat G-55 "Silurante". 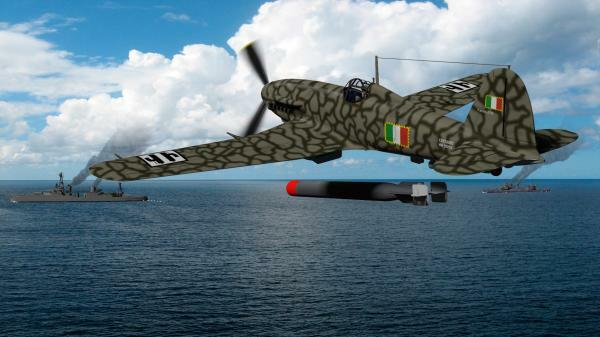 Derived from successful fighter Fiat G-55 "Centauro", this aircraft torpedo not pass the prototype stage. The scene is therefore fictitious. Until 2012 (the last time I visited) it was possible to admire at the Italian Air Force Museum at Vigna di Valle, near Lake of Bracciano (Rome), the only surviving specimen reconstructed "FIAT G55", perhaps the best Italian fighter of ever and German specialists said the best hunting in the absolute sense of the Axis.